The success mantra for Collateral is adding colors to the art of storytelling. That is how we treat our work here. 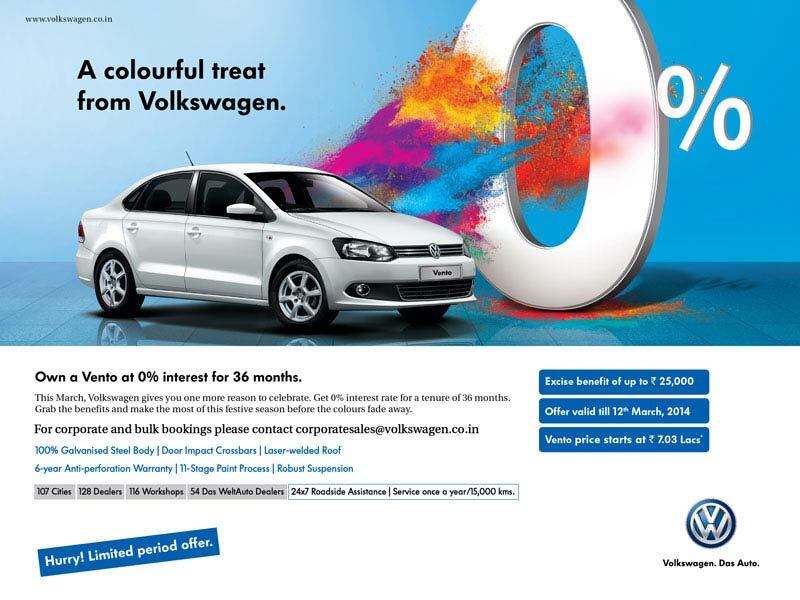 We created a template for Volkswagen on the occasion of Holi festival which focused on the 0% interest offer on the Vento. We loaded the creative with vivid colours that signified the festivity of Holi. The communication was loud and clear, both in terms of message and visuals and the creatives were released Pan India. The festival is yet to come, but the celebrations have begun already.